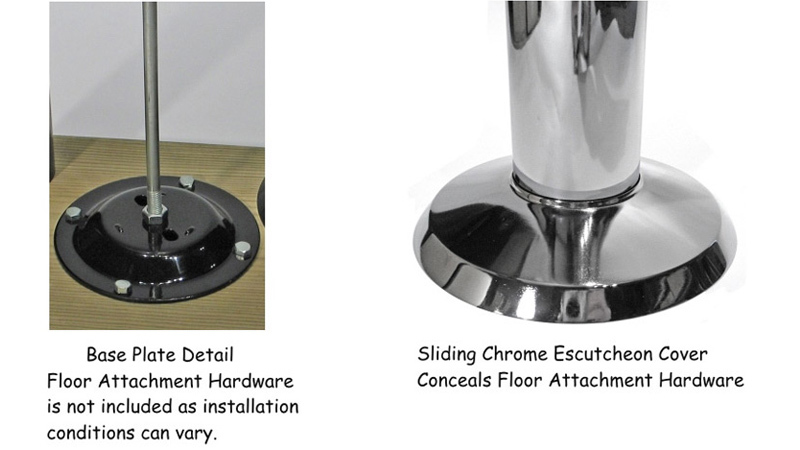 Economy chrome floor mounted bolt down table bases. 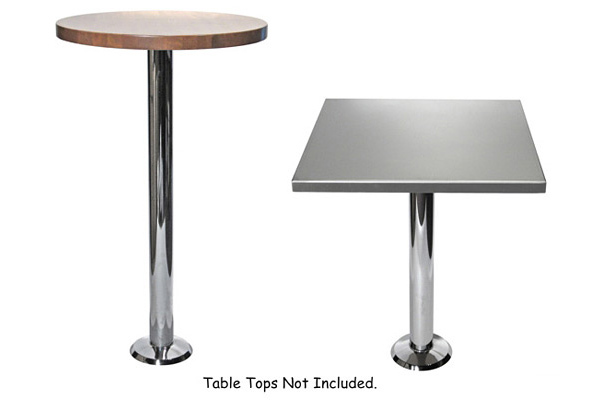 Chrome bolt down table base available in dining height, bar height and custom height. Economy chrome floor mounted bolt down table base details. Outer Foot Rest Ring is 17" Diameter - Inner Foot Rest Ring is 11/4" Diameter, Tubing Size is 3/4"
3" Diameter Chrome Columns. Approximate Overall Table Base Dining Height 27 3/4"
3" Diameter Chrome Columns. 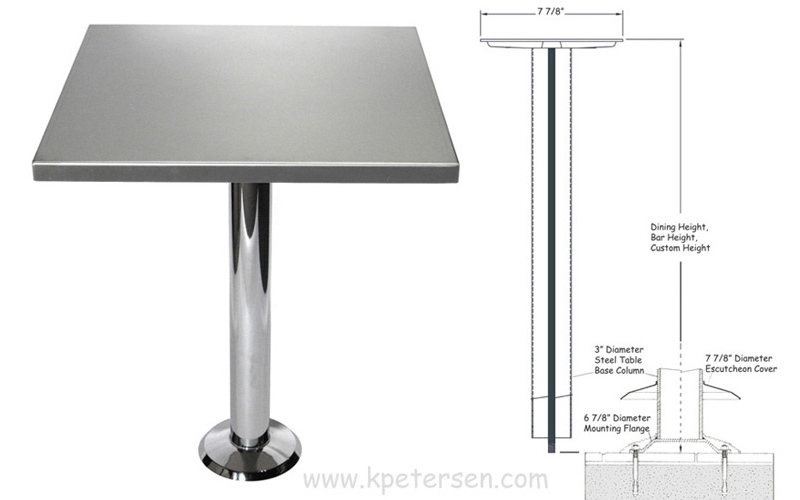 Approximate Overall Table Base Bar Height 40 3/4"
Economical custom height cutting service also available. Copyright © 2015 - 2019 Petersen Furniture International, Inc. All rights reserved. So there!